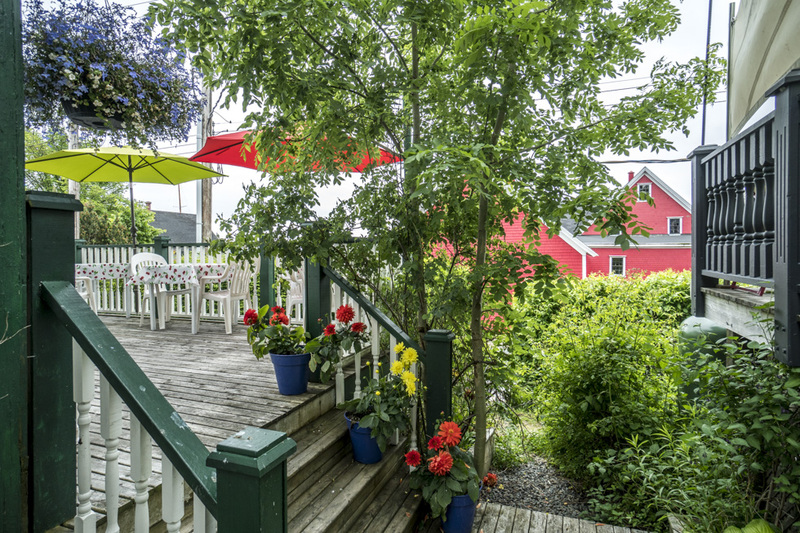 With its large deck overlooking the Lunenburg waterfront, Magnolias has been successfully serving the locals and tourists for the past 30 years. 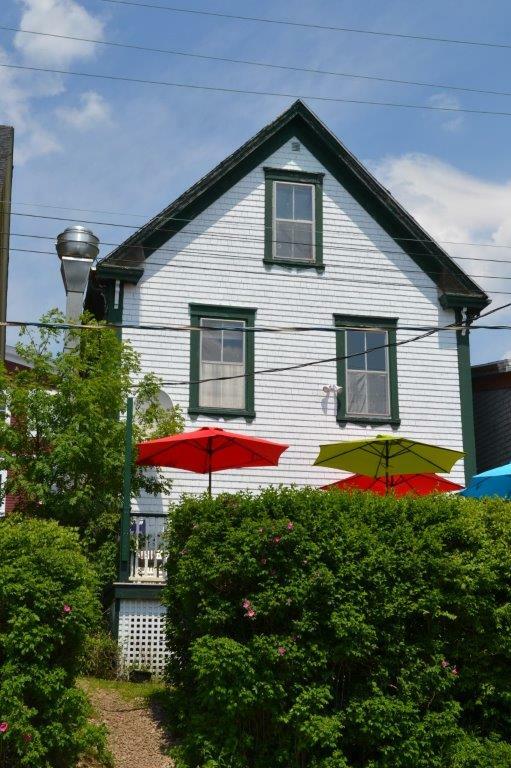 It is also a favourite eating place for a long list of celebrities visiting Old Town Lunenburg, a UNESCO World Heritage Site and home port of the schooner Bluenose. And no wonder, it has been recommended in “Where to Eat in Canada” every year for the past 28 years, longer than any other restaurant in Canada. The funky east coast atmosphere, the great food and the excellent service keep them coming back. This offering includes the land, the 2 ½ storey building (plus walk-out lower delivery level), the fully equipped and operating restaurant and a two storey apartment above. The sellers are prepared to sell the total package, or sell just the operating restaurant business for $275,000. Contact the listing agent for a Feature Sheet and itemized list of restaurant equipment. From Halifax, take Hwy. 103 to Exit 10 or 11. Follow the signs to Lunenburg. Montague Street is one street up and parallel to the waterfront. Size of Lot: 1,076 sq.ft. Total Floor Area: 2,300 sq.ft. plus lower level of 570 sq.ft. LOWER LEVEL: 30’2 x 19’3 = 570 sq.ft. THIRD FLOOR WITH EVEN BETTER VIEW OF THE HARBOUR (finished and unheated): Bedroom: 13’9 x 11’9; Bedroom 134’9 x 11’9. 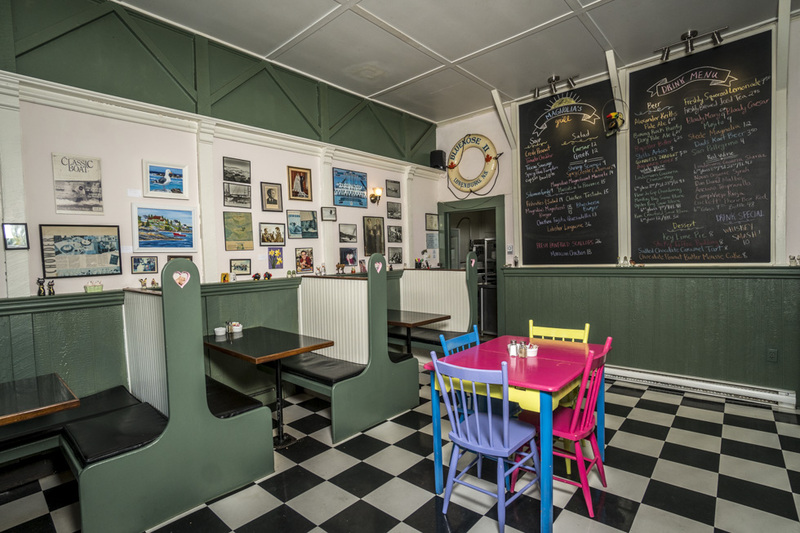 Magnolia’s Grill is an award winning restaurant on the Lunenburg waterfront. It has been operating successfully since 1987. It has been featured in “Where To Eat In Canada” every year for the past 28 years and is awarded the Certificate of Excellence every year by TripAdvisor. The restaurant currently seats 38 people indoors and another 16 seasonally, on the south facing deck overlooking the Lunenburg waterfront. The restaurant is located in a three storey building with a lower level. It occupies the 1,032 sq.ft. main floor of the building for the kitchen, dining, bar and washrooms and the 570 sq.ft. walk-out lower level for food preparation, coolers, freezer and storage. Above the restaurant is a 2 storey apartment. - Extending the season of operation beyond the current April 1-Oct. 31 season. - Opening a bar in the area to the right of the main restaurant which is now being used as a waiting area. - Increasing the seating in the main restaurant by moving the kitchen to the basement. - Establishing a catering operation. - Updating the two storey apartment (separate entrance) above the restaurant for renting. This offering includes all the restaurant equipment on the premises (see attached partial list). This offering includes all the furniture on the premises. This offering includes all the décor on the premises, with the exception of certain personal items. Will be made available to qualified buyers upon signing a confidentiality agreement. On You Tube – check out Magnolia’s Grill on The Food Network’s “You Gotta Eat Here”. Recommended in Bride Magazine, En Route Magazine, Canadian House and Home, Globe and Mail, twice in the New York Times and Gourmet Magazine and many other periodicals. Recommended in “Where to Eat in Canada” for more consecutive years than any other restaurant in the country. A Few of the Customers - Margaret Atwood, Christopher Plummer, Helen Mirren, Chuck Norris, Cuba Gooding Jr., Tom Selleck, Kathy Bates, the Governor General of Canada, Dame Edna, etc., etc.